Does it seem like your daily mail always brings a new bill? Are you struggling to make the minimum monthly payments on your credit cards? If so, you aren't alone. Every day, people are faced with debt that seems to be quickly gaining the upper hand. If this sounds familiar, it may be time to consider the possibility that a debt consolidation loan could be the answer. You may be wondering what the difference is between debt consolidation and a debt consolidation loan. The term debt consolidation is often used to describe a service offered by non-profit organizations to combine your debts into one monthly payment, but without being granted an actual loan. A debt consolidation loan is an actual loan that does not require you to enter a debt counseling program or turn your finances over to someone else. One of the leading reasons that individuals apply for debt consolidation loans is their desire to get ride of high interest credit cards. With monthly payments that often barely cover the interest rates, which can increase at any time, credit cards account for a large portion of consumer debt. A debt consolidation loan can not only offer a single monthly payment, but it can also offer lower interest rates. 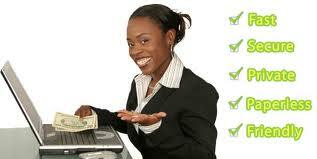 A debt consolidation loan is much like any other loan. A standard application will request contact information, the applicant's social security number, employment information and permission to access a credit report. In some cases, depending on the amount requested for a debt consolidation loan, the lender may also request collateral. This would be common if the amount of debt to be consolidated were extremely high or if the applicant has a very low credit score. Applicants should carefully consider the type of collateral granted for a debt consolidation loan, especially if the lender requests that the applicant's residence be used. If credit card debt is the main reason for a debt consolidation loan and if that loan uses a home as collateral, the applicant is basically turning unsecured credit card debt into secured debt with their home as the collateral. If something should occur in the future and the payments cannot be made, the applicant runs the risk of losing his/her home. If collateral is not available, some lenders may agree to issue the debt consolidation loan if the applicant has a co-signer. After being granted a debt consolidation loan and once all credit cards are paid in full, many experts have recommended closing credit card accounts to avoid having the temptation of using them again. If the debt problem arose from excessive spending, the temptation of having available credit may be too great of a risk to bare. It is advisable to keep one credit card open for emergency purposes and, if possible, this card should carry the lowest interest and no annual fee. A debt consolidation loan is designed to help individuals regain control over their finances and, if used correctly, save some extra money in the process. The information contained in this article is designed to be used for reference purposes only. It should not be used as, in place of or in conjunction with professional financial advice relating to debt consolidation loans. For additional information or to apply for a debt consolidation loan, check with a lender who specializes in this type of loan. Look For Fast Cash Up To $ 1500 Online. You Will Receive Cash Immediately. Get Approved Fast. Apply Online Today!